It’s said that the Scheid Diesel Extravaganza is the Super Bowl of diesel events, but maybe it should be the other way around. 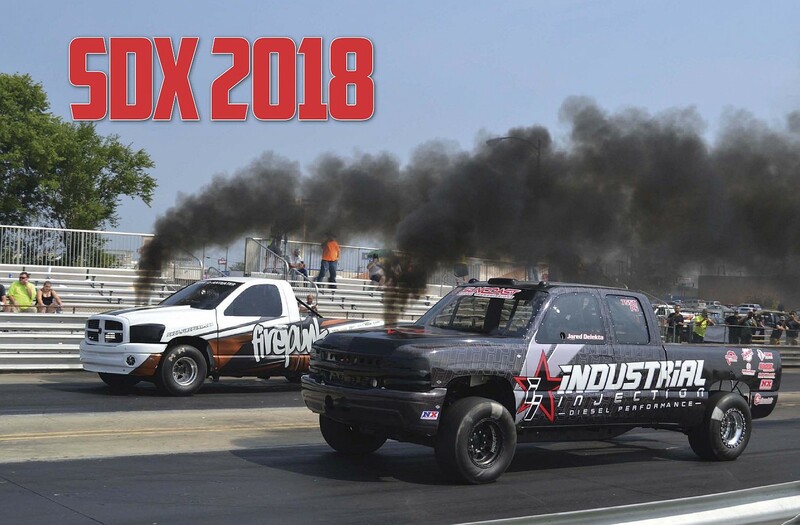 With the Pro Pulling League bringing hundreds of trucks and tractors to the venue, and the Outlaw Diesel Super Series (ODSS) invading the dragstrip, it could very well be said that the Super Bowl is the Scheid Diesel of football. Either way, it’s one heck of a show. With storm clouds looming, Friday got off to a slow start, but that didn’t mean there wasn’t stuff to see. 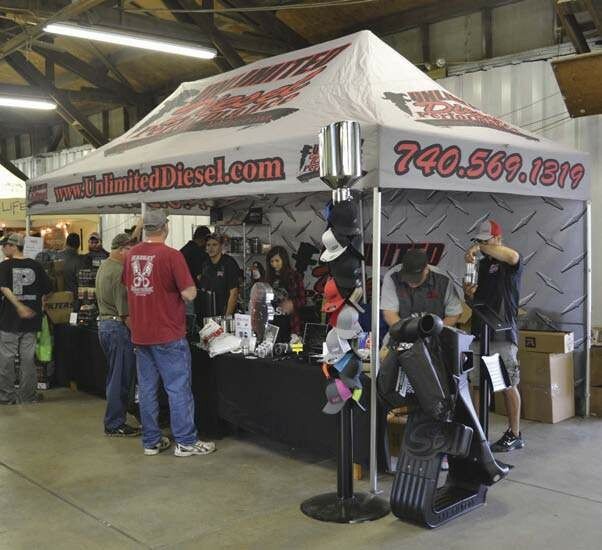 More than 30 trucks hit the Diesel Doctors chassis dyno, and there was a vendors row to peruse, with companies like ATS Diesel, Fuelab, XDP, ARP, Unlimited Diesel, Fleece Performance, Haisley Machine, and SunCoast, just to name a few. Thankfully, the rain had stopped by mid-afternoon, which gave the pulling crews a chance to gear up for Friday night’s PPL action while the track was being prepped. Saturday was even busier, as the daytime saw the addition of the ODSS drag racing classes at Crossroads Dragway, where everything from street trucks to full-on race vehicles could be seen. If speed was your thing, it was the place to be, as 120-150mph speeds from diesel pickups was a daily occurrence—in only an eighth of a mile! There were also dragsters on hand and several bracket classes to keep weekend warriors entertained. Saturday night saw the PPL swamp the fairgrounds once again, and the drag racing would continue into Sunday with the ODSS finals. One of the biggest upsets of the weekend was in the ODSS Pro Street class, when Industrial Injection’s Jared Delekta took out Firepunk’s Lavon Miller with a 5.44-second run at more than 130 mph. A vendor row with vehicles and parts booths on display is a big part of the Scheid Diesel Extravaganza. 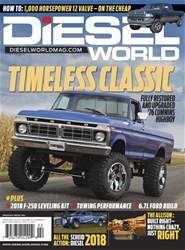 Often the latest and newest parts are introduced here for diesel enthusiasts’ eager viewing. It’s no secret that Cummins is the go-to competition engine, but even we were surprised when Scheid Diesel introduced their new, built-in-house, all-aluminum Cummins engine. 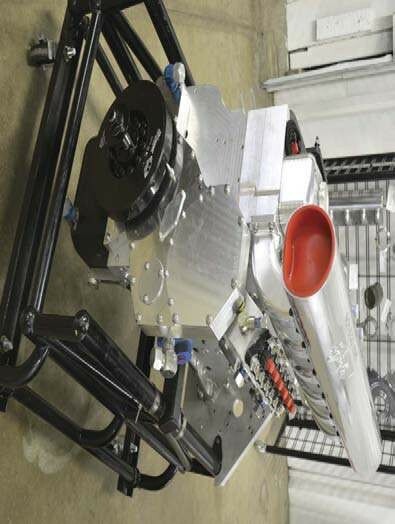 The powerplant is capable of well over 3,000 horsepower, and should be available as a turnkey package very soon.